A recent study showed that North Carolina pays more for health care than all the other states. Why is that? It’s a pretty simple question. Of course, when it comes to health care, simple questions often have complicated answers. But let’s take a look at some of the big-picture reasons that contribute to consumers paying more for health care here. Our state has large regions with only a few major health care providers. Some areas like Western North Carolina are dominated by only one hospital system. That lack of competition not only drives up the cost of care but also makes it much more difficult for insurers to negotiate lower prices with hospitals. The reverse is also true. For example, the Raleigh-Durham-Chapel Hill area is served by Duke Health, UNC Health Care and WakeMed Health Services. According to research by the Brookings Institution, that competition has resulted in the Triangle boasting some of the most affordable health care in the state. Unfortunately, North Carolinians aren’t as healthy as the rest of the nation. That’s especially true of our children, which doesn’t bode well for healthcare costs in the future. Obesity-related issues like diabetes and heart disease are major problems in our state. These conditions often call for the long-term use of expensive prescription medicines, not to mention costly medical testing and procedures. On top of that, nearly one-in-five North Carolinians is a smoker, which is higher than the national average of about 17.5 percent. Beyond our collective health status, there was a concerted effort by nonprofit agencies to target lower-income regions of North Carolina for ACA enrollment. Those areas had more people with chronic health problems, filling the state’s ACA pool with more sick people than healthy people. And as we’ve seen, that can only have one result: higher insurance premiums. In the last few years, North Carolina’s lawmakers made two crucial decisions that caused healthcare costs to rise. First, the state decided not to expand Medicaid coverage. So there are a lot of people in North Carolina’s individual insurance market who might have been covered under Medicaid, but instead, have to purchase insurance through the ACA’s federal marketplace. These folks tend to have more expensive chronic health problems, and the cost of their medical care has caused insurance premiums for ACA customers in our state to rise. 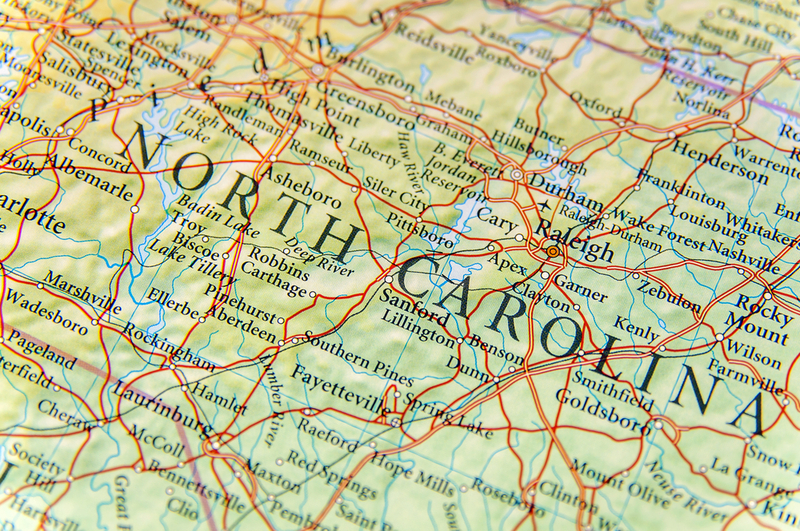 North Carolina was also one of 22 states that decided to allow consumers to remain on grandfathered and transitional insurance policies instead of being required to purchase ACA-compliant plans. People with grandfathered and transitional plans chose to stick with those plans because initially, they were cheaper (there are a number of reasons for this, but the short answer is that grandfathered/transitional customers use less health care and those plans include fewer benefits). With an ACA pool weighted toward sicker people, premiums for ACA plans rise. Blue Cross NC recently announced that ACA grandfathered plans will not be offered starting in 2018, as the shrinking grandfathered pool has made it difficult to provide coverage affordably. North Carolina’s individual market – people who don’t get their insurance through an employer – has an unusually high number of people who buy insurance so they can get expensive medical care, and then drop their insurance after they’ve been treated. These consumers contribute relatively little into the pool while racking up big doctor bills. Insurance companies still have to pay those bills, causing premiums to rise for the people who keep their insurance. Blue Cross NC lost nearly a half-billion dollars on the ACA market in its first three years, which explains why other insurance companies have quit selling ACA plans here. Our state’s ACA population uses more expensive healthcare and simply costs a lot of money to insure. Mandates are laws that require consumers to pay more for health insurance in order to receive certain for conditions, procedures, and tests. These mandates make coverage more comprehensive, forcing North Carolinians to pay for benefits they may not want or need. North Carolina has 57 mandated requirements for insurance companies, placing us in the top one-third of states. Each of these factors by itself probably wouldn’t cause North Carolina to top the list of ‘Most Expensive States for Health Care.’ But added together, they’re responsible for this dubious honor. Blue Cross NC is working to make health care in our state better, more accessible and more affordable. To learn more about how we’re fighting high health care costs – and to find out how you can help control costs – visit our State of Costs website.